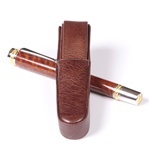 A thing of beauty is a joy forever. 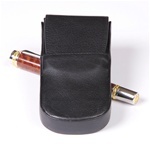 It is essential that in order to keep them looking that way, you need to give it the right kind of protection. 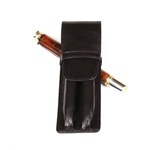 At Woods N’ Dreams, we craft exquisite wooden fountain pens for you and to help you keep them that way, we present a range of equally attractive pen pouches. 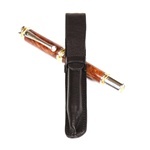 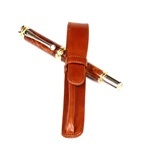 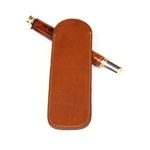 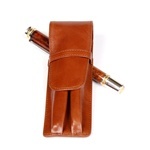 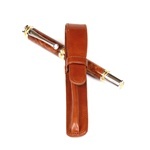 The Leather pen pouches and holders we manufacture are elegance itself. 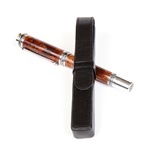 The leather used in their manufacture is genuine and of a premium quality from the U.S.A. As if that is not enough, they are all crafted by hand in the New York Facility of Aston Leathers. 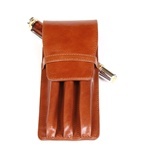 There are single and double pen pouches as per your requirements. 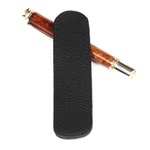 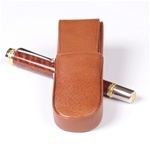 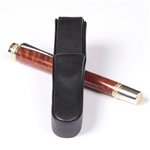 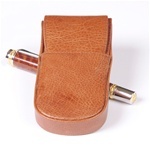 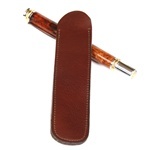 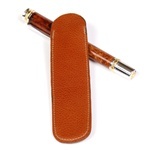 The leather pen holder comes as single, double and triple pen holders as either a plain box or a round box one. 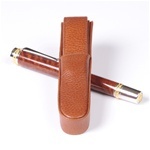 If you have an admirable collection of more than three pens then there is the choice of the five pen roll up pen holders for you. 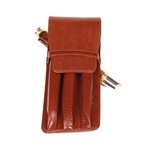 All these come in attractive shades of brown, tan, maroon and black. 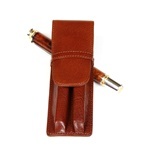 Keeping in mind the current environment scenario, our pen holders and pouches are made using natural means. These luxurious pen pouches are top grain and veg-tan which means that they are tanned using oils from the oak tree which is very environment friendly. What is even better is that this leather gets more beautiful and supple with age. 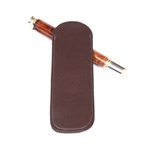 The leather used in our products is supple, sturdy and scratch resistant. 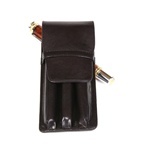 In short, our pen pouches and holders are perfect to protect your fountain pens from daily wear and tear. 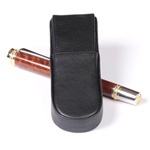 So there you are then, the perfect solution to keeping your valuable pens as safe as you would want them to be.